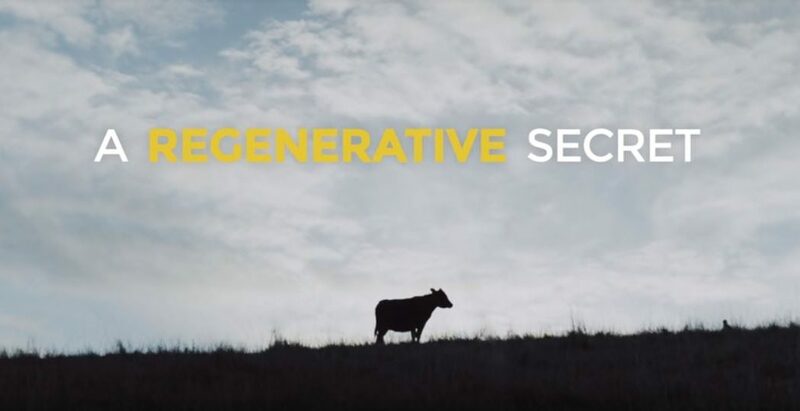 A powerful new mini-documentary titled “A Regenerative Secret” breaks the thinking that cows are the problem. Contrasting the catastrophe of the current cattle industry with the hopeful and inspiring paradigm of Regenerative Ranching. This emerging form of ranching is not only restoring ecosystems but also reversing global warming and helping ranchers across the world become more prosperous. This film is presented by Kiss the Ground and made possible by Joyce Farms, Savory Institute, and Belcampo Meat Co. This film by Ben Cowan and Taliesin Black-Brown of Zephyr Visuals features Dr. Allen Williams, Chief Ranching Officer for Joyce Farms and Kiss the Ground’s Finian Makepeace. See Kiss The Ground website.